Scraping describes the method to extract data hidden in documents – such as Web Pages and PDFs and make it useable for further processing. It is among the most useful skills if you set out to investigate data – and most of the time it’s not especially challenging. Web scraping (web harvesting or web data extraction) is a computer software technique of extracting information from websites. Data scraping is a technique in which a computer program extracts data from human-readable output coming from another program. Such interchange formats and protocols are typically rigidly structured, well-documented, easilyparsed, and keep ambiguity to a minimum. Very often, these transmissions are not human-readable at all. 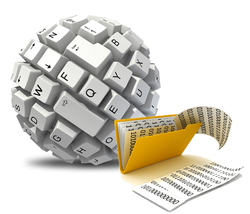 We provide quick and accurate data entry services for any business that needs data to be extracted from any source. Our years of experience in the field of computer data entry and state-of-art technology directly result in giving you competitive edge in the market. HabileData Offers reliable, fast, and accurate web scraping, data scraping, screen scraping, data extraction, and website scraping services to global organizations ranging from minor, medium-sized business firms to Fortune 500 companies at affordable costs. 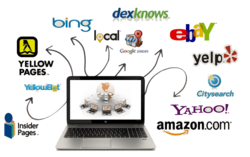 We provide Data Scraping Services to our clients. We offers cost effective data processing services, powered by high-end quality control standards..
We provide all kind of web-scrapping services at very affordable price.